A 30 degree elbow is also called a “30 bend” or “30 ell”. 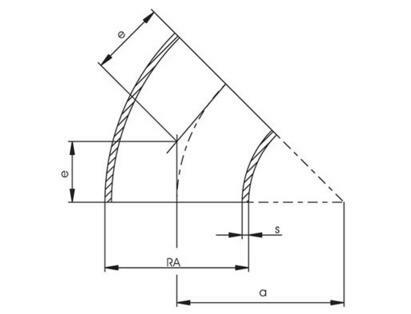 It is a fitting which is bent in such a way to produce 30 degree change in the direction of flow in the pipe. It is commonly used in water supply facilities, food industrial pipeline networks, chemical industrial pipeline networks, electronic industrial pipeline networks, air conditioning facility pipeline, agriculture and garden production transporting system, pipeline network for solar energy facility, etc. 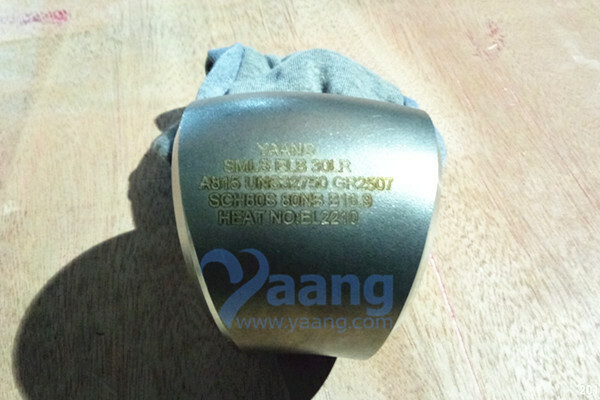 China 30 Degree ELBOW Manufacturer Yaang offers ASTM A815 UNS32750 GR2507 SMLS 30 Degree LR ELBOW, DN80, SCH80S.